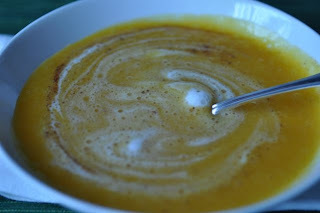 There's nothing more wintery than butternut squash soup -- creamy roasted butternut squash soup topped with maple syrup froth and a dash cinnamon. 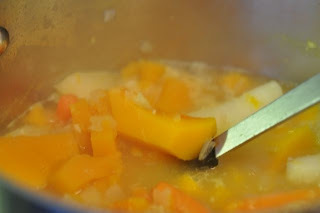 First, cook the diced squash in stock with some onions and garlic. And, then prepare the milk and maple syrup for the froth. After the vegetables are soft, run them through the blender or food processor and top with froth and cinnamon. Not only is this soup delicious but you can also feel virtuous knowing that you're off to good start for the new year at only 115 calories. Prepare vegetables as indicated. Cut squash, potato and apple into one inch cubes. Add stock, onion, garlic, squash and potato to a medium sized soup pot and bring to a boil. Reduce heat and simmer for 10 minutes. 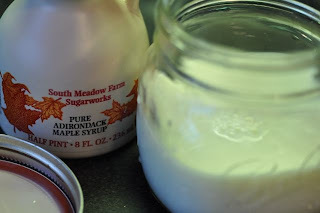 Add cubed apples. Simmer for another 10 minutes. Pierce the vegetables with a fork to test for doneness. When cooked through, turn off heat and let cool. Pureeing in a blender or food processor until velvety smooth. 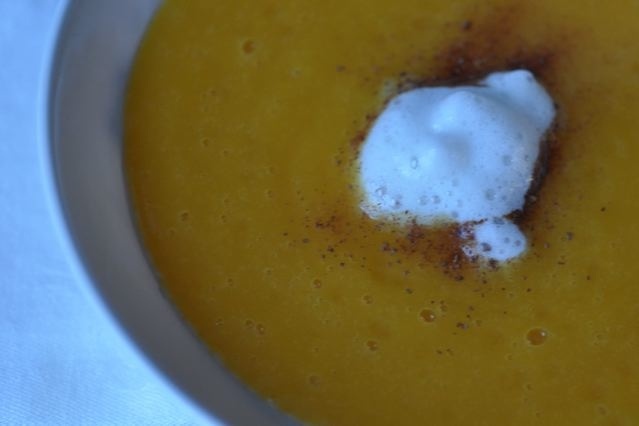 Reheat when ready to serve and garnish with a dash of cinnamon and spoonful of maple syrup froth. 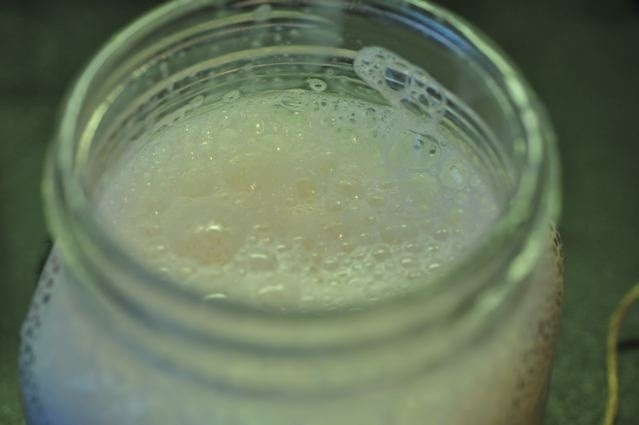 To make the maple syrup froth, stir the maple syrup into the milk, then use your favorite kitchen tool for frothing as you would if you were making a cappuccino or latte. If you don't have a special frothing wand or cappuccino maker with a steamer attachment, add the milk and maple syrup to an oven proof glass jar, such as a Ball jar, and vigorously shake the milk for about 30 seconds to create bubbles. 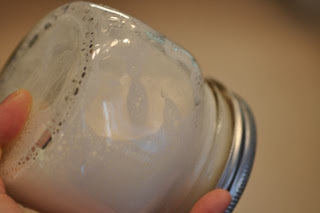 Microwave the milk in the glass jar for about a minute and it will froth up even more. Now it's ready to spoon on top.